Borderline personality disorder is a common but controversial mental health diagnosis. Writer Clare Allan, who herself has the diagnosis, explores the history and science. Borderline personality disorder (BPD) is one of the most controversial mental health diagnoses and yet it's by no means uncommon. 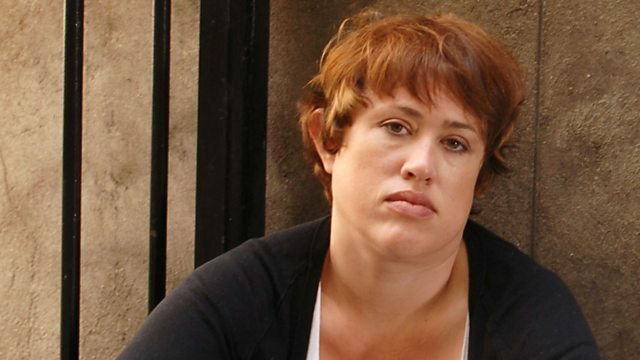 Clare Allan, award-winning novelist and Guardian columnist, says she was given the diagnosis as a "parting gift" when, after 18 months in psychiatric day hospital, she had failed to respond to treatment. Clare tells her own BPD story and uses her experience and perspective to explore the history, science and future of the diagnosis. BPD was "invented" in the 1970s to cover a range of symptoms including violent mood swings, difficulties with intimacy, depression, fear of abandonment and self-destructive behaviour. Why was the diagnosis needed? How was it developed? How does it differ from and resemble other mental health problems? Why are women three times more likely than men to be given the diagnosis? Is there any truth to the notion that you can "grow out" of it and if so, why? What treatment is available and how effective can it be? Clare discovers a debate which is raging amongst mental health professionals about the BPD diagnosis. She talks to experts who defend the use of the diagnosis, including the so-called "father" of BPD, Dr John Gunderson, who wrote the definitive paper on the condition in 1975. She also talks to a senior psychiatrist, Dr Peter Tyrer, who argues that the label of BPD is not useful and should be scrapped. The programme also includes stories of others with the BPD diagnosis and the views of friends and carers. A personal, thought-provoking and challenging programme which highlights the difficulty of diagnosis and definition in the field of mental health. Rethink Mental Illness is a charity that believes a better life is possible for millions of people affected by mental illness. They can provide practical advice and information about issues such as therapy and medication, benefits, debt, criminal justice and your rights under the Mental Health Act, as well as operating support groups across England.